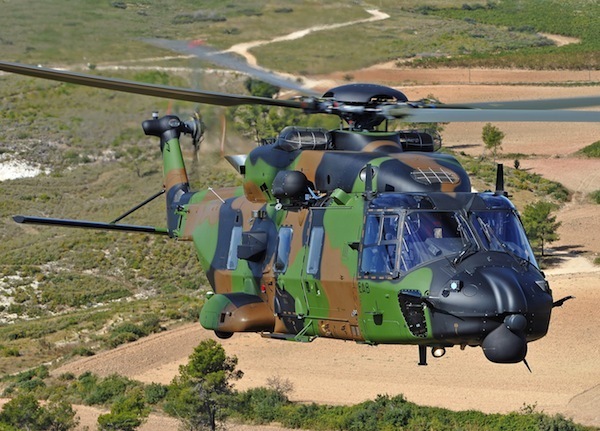 PARIS --- The French defense ministry has ordered a follow-on batch of 34 NH90 helicopters, a contract estimated to be worth just under 1 billion euros. A French Ministry of Defense official, who requested anonymity, confirmed the award May 30, but declined further comment. Neither NH Industries, the prime contractor for the NH90 program, nor Eurocopter, its largest shareholder and manufacturer of the TTH90 battlefield variant, were available to comment. The award was originally reported May 29 by the French website LaTribune. The order, initially due to be awarded in 2010, was announced as “imminent” in January 2012 by then defense minister Gérard Longuet when he took delivery of the first French army NH90 Tactical Transport Helicopter (TTH) in its final operational configuration from Eurocopter. At the time, Longuet told defense-aerospace.com that the helicopters, in TTH tactical transport configuration for the French army, would each cost about 20 million euros, which with spares and support would increase the contract’s value to over 800 million euros. France has already ordered 34 TTH90 army versions and 27 NFH90 navy versions, and according to its newly-published defense white paper plans a total of 113 medium helicopters.